In 2013, the Ingermanland Union of Finns of Karelia, which is engaged in preserving and developing the ethnic culture and language of the Finns of the republic, announced fundraising for the creation and installation of the monument: many transferred a substantial amount of money, but they did not see the promised memorial sign. Sergei Nelson lives in Fort Bragg, the Pacific coast of California. In 1921, his grandfather Enok Nelson moved from there to cold Karelia, Russia, for an incredible dream — to help Soviet Russia build socialism. For a while, Enok Nelson worked in a car repair shop in Petrozavodsk, the regional capital, then he moved to Ukhta (today — the village of Kalevala), where he supervised at the industrial plant. There he also had a house, a beloved wife and three sons: Zhenya, Vitya and Enok Jr. 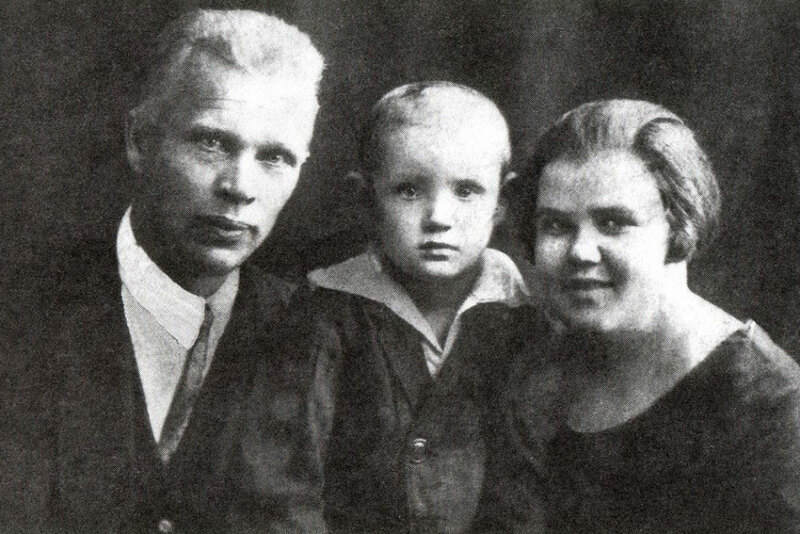 The American with Finnish roots was taken away from Ukhta in 1938 “in an unknown direction.” Only many years later, his children and grandchildren learned that on March 5, 1938, their grandfather was shot and buried in one of the pits in the Sandarmokh tract in the Medvezhiegorsk region of Karelia. 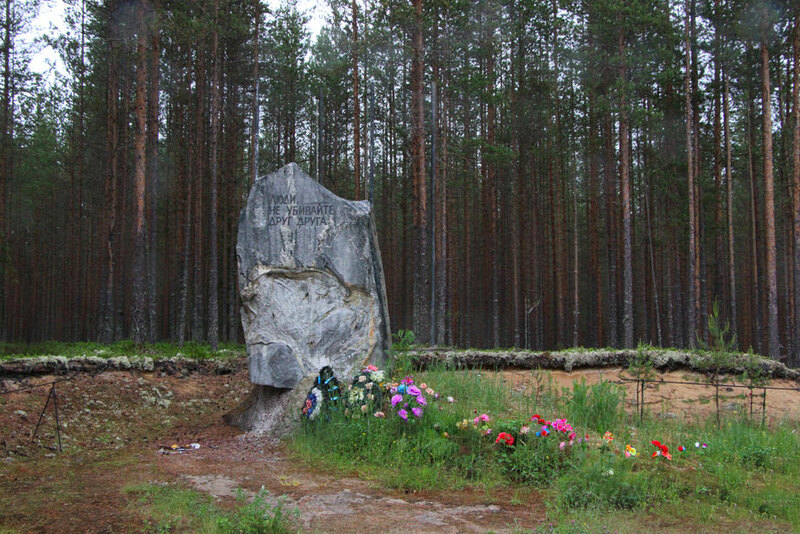 The Sandarmokh memorial keeps lots of such stories — more than 7 thousand people were shot in this forest area in 1937-1938. For nearly 60 years, this place has been sought by relatives of victims of repression, researchers, historians, and local historians. In 1997, the NKVD firing pits were discovered by a joint expedition of the Memorial from St. Petersburg and Karelia. So, the first memorable signs appeared here. The monument with the words “People, don’t kill each other” was installed on the first anniversary of the opening of Sandarmokh in 1998. And after the publication of the book “Memorial lists of Karelia” in 2002 — work of Karelian researcher Yuri Dmitriev — with the names of the victims of Sandarmokh, the columns with personal nameplates with photographs or just the names of the repressed began to be installed on the territory of the memorial annually. There are hundreds of such columns in Sandarmokh, and a couple of dozen monuments, memorial plates and sculptures from diasporas of different nationalities, whose representatives were shot at the tract. Name of Enok Matthias Nelson, the most courageous “American Finn” [Finnish citizens who immigrated to the United States and Canada in the early twentieth century], who ended his life in the Medvezhiegorsk region of Karelia in 1938, appeared in Sandarmokh one of the last. The memorial plate was installed by the son and grandsons of Enok in 2017. With the whole family, the Nelsons came from the USA to Karelia for the 20th anniversary of the Sandarmokh Memorial to honor the memory of their grandfather. The Nelsons were surprised that at the memorial cemetery there was still no monument to the Finns who died here. After all, more than 800 Finns were shot at the tract during the years of repression. Sergey Nelson was outraged, because he personally sent a donation for the creation and installation of the monument to the head of the Ingermanland Union of Finns of Karelia back in 2014. «In 2014, via the Vkontakte social network, Oleg Sosnin wrote to me that in fact his name is Vladimir Kolomainen, his page was allegedly hacked, and therefore he wrote from an empty, fake page. He said that he was the chairman of the Ingermanland Union of Finns of Karelia and is looking for money to build a monument to the Finns who were shot in Sandarmokh. He asked if I could send money for such a sacred cause and if I could find someone who would also agree to send him money,» said Sergei Nelson. Sergei did not transfer the money immediately, citing the fact that in 2015 he would come to Petrozavodsk personally, and then he would be able to transfer his donation for the installation of the monument. But the case, according to Vladimir Kolomainen, was urgent, and could not wait for personal acquaintance. «Then I sent $500, another 45 was a bank commission. In 2015, when we met in Petrozavodsk with Kolomainen, he offered me some kind of suspicious scheme for the purchase of building materials, but I refused. A few months later Kolomainen appeared again and asked for more money, I also refused. He never wrote again,» said Sergei. Together with Nelson, the Finns, whose relatives were buried in Sandarmokh, and local members of the Ingermanland Union agreed to support the project. Someone transferred a thousand rubles, but there were more serious contributions. The famous Karelian musician Arto Rinne held a charity concert a few years ago to quickly collect the necessary amount. «A few years ago, me together with my folk band performed near St. Petersburg, we gathered about ten thousand. I told Kolomainen several times that it might be worth making a monument cheaper. But he said that there was an agreement with the sculptor Koltygin, who made a model and had to make a monument. According to Kolomainen, the funds collected were not enough,» said Arto Rinne. According to the musician, he also feels his responsibility for the situation with the monument. At the request of Vladimir Kolomainen, he shot a great story for the local channel about the plans of the Union of Ingermanlandians for the installation of the monument. «Finns, victims of repression, will finally get their monument. It will be a Evangelical-Lutheran cross made of granite and metal, with a forest pigeon sitting on it. They symbolize the unity of freedom and eternity,» the story says. In a telephone conversation with the correspondent of «7x7», the head of the Karelian regional public organization “Ingermanland Union of Finns of Karelia” Vladimir Kolomainen first of all asked who exactly asked to write about the fate of the monument. He complained that he himself many times tried to find sponsors, but almost all his attempts were unsuccessful. Over the past five years, he said, he managed to collect a little more than 440 thousand rubles of the required 4 million rubles. In the Sandarmokh memorial complex you can really find a place for a memorial sign to the Finns of Karelia. In July 2014, a mortgage plate with an inscription in Russian and Finnish was installed at the Sandarmokh memorial complex: “Here, on the initiative of the Ingermanland Finnish Union of Karelia, a monument to innocently executed Finns will be erected,” stated on the site of Sandarmokh. Memorial Cemetery. For five years, while Kolomeinen was looking for money for the monument, several small plaques to the dead Finns appeared in the tract. In addition to the plate to the American Finn Nelson, there is a metal plate with the inscription “In memory of Finnish victims”, established on the initiative of members of the Finnish motor club Ural Roikka, and the wooden flag of Suomi with a list of seven names and the date 10.07.2015. In 2016, some Karelian historians hypothesized that Finnish invaders could bury Russian prisoners of war in Sandarmokh. It still has no documentary confirmation. In August 2018, representatives of the Russian Military Historical Society worked in Sandarmokh. For five days, members of the expedition — ten Military Historical Society activists and conscripts — found the remains of five people at the site of mass executions during the Great Terror. Without waiting for the results of the examination, they put forward the version that the remains belong to non-repressed.